If you’re a lover of sweets in the morning, but watching your waistline — then you’re in luck. 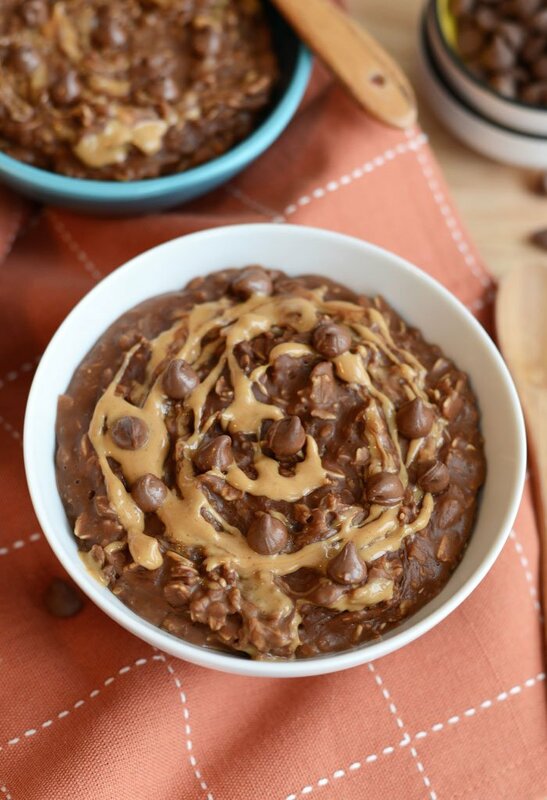 Put down the donut or double chocolate chip muffin and whip up a bowl of these savory Chocolate Peanut Butter Swirl Oats. It tastes like a ooey-gooey, Reese’s Peanut Butter Cup party in your mouth — except better because it’s CLEAN! Place all ingredients (leave out 1/2 tablespoon peanut butter for drizzle) in a medium size pot and turn heat to medium/high. Bring to a rolling boil, then turn heat down to medium and cook for about 5 minutes, or until oatmeal thickens. Stir often! In separate bowl, microwave 1/2 tbsp of peanut butter for 10-15 seconds to soften. Pour oatmeal into bowl. Then, drizzle on peanut butter and add a few chocolate chips.